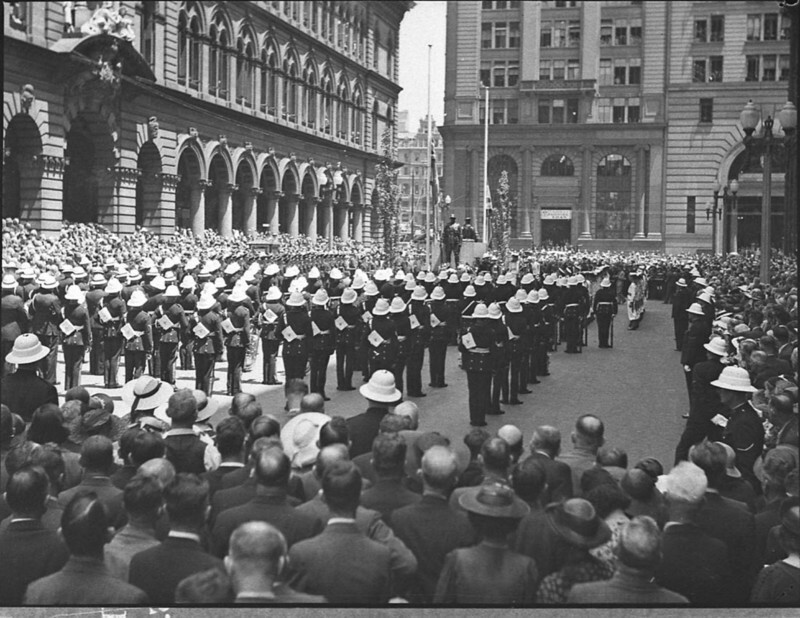 The November 11 is Remembrance Day, a day of memorial to honour those who have died in war. The memorial evolved out of Armistice Day, which continues to be recognised on the same date, to mark the armistice signed between the Allies of World War I and Germany at Compiègne, France, for the cessation of hostilities on the Western Front of World War I, which took effect at eleven o'clock in the morning—the “eleventh hour of the eleventh day of the eleventh month” of 1918. 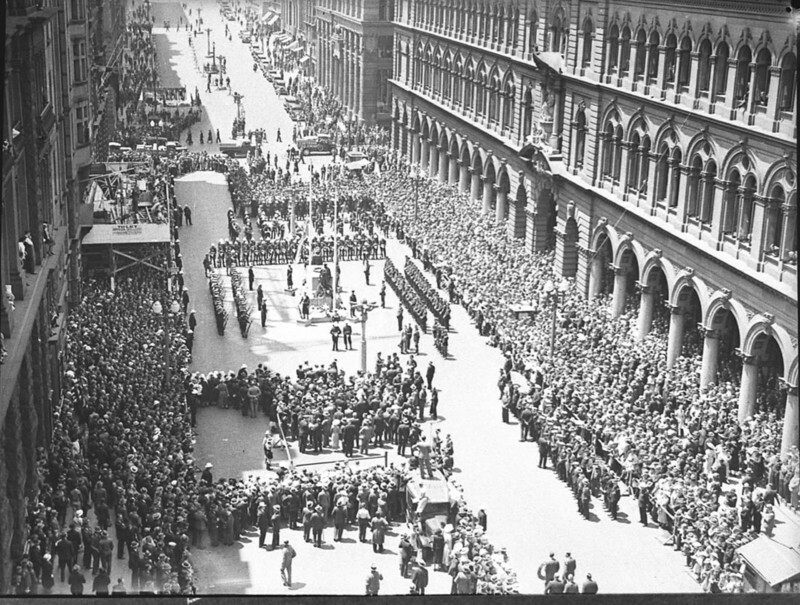 These photographs document memorial services held on Remembrance Day (Armistace Day) at the Cenotaph in Martin Place, Sydney. 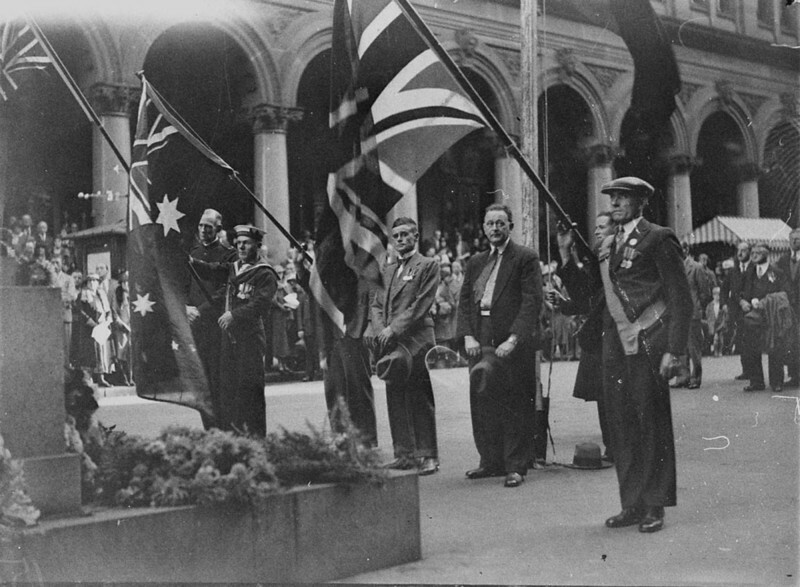 They were taken in the 1930s, by well-known Australian photographer Sam Hood. 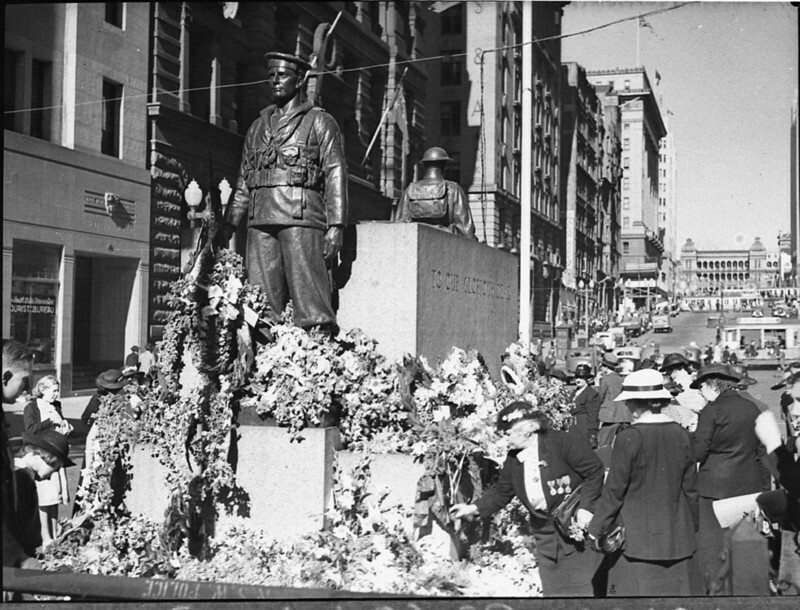 The State Library of New South Wales holds a large collection of photographs depicting services on Remembrance Day in Australia.